A Culligan drinking water system may quickly become your favorite appliance in the kitchen. 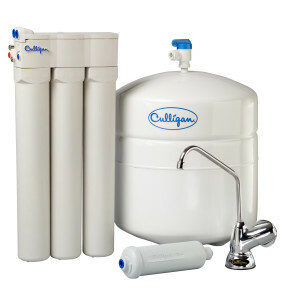 Because no other solution else offers the refreshing, healthy benefits like the clean, fresh water you get from a Culligan drinking water system. With a mere touch of a button, you will enjoy an endless supply of cleaner, refreshing drinking water right at your kitchen sink. It’s pure convenience. Triple Water Filtration, One Remarkable Machine. 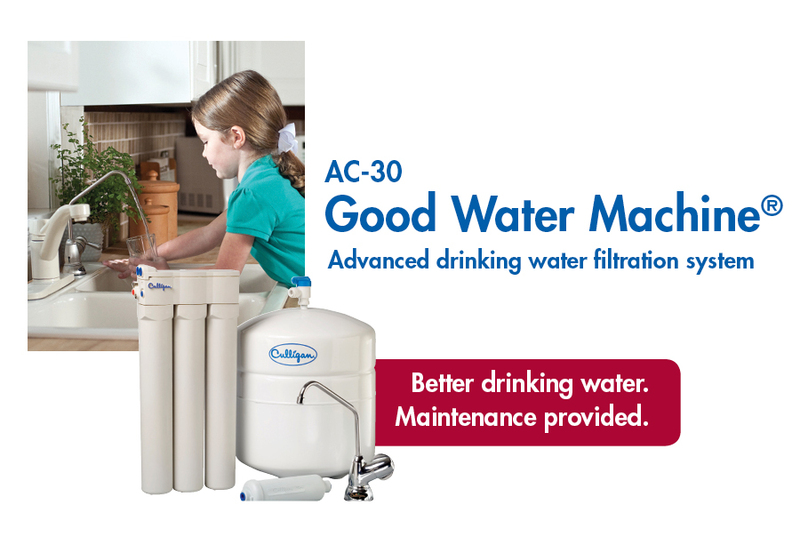 The AC-30 Good Water Machine® utilizes three filtration methods to reduce copper, lead, selenium, barium, radium 226/228, cadmium, chromium and total dissolved solids (TDS) that affect the quality, taste and smell of your water. * So you get more than great water, you get peace of mind. Whether you’re looking for office or home water filtration, your local Culligan Man can help target the perfect solution to match your needs.